Where it all began. True love blossoms for the Stix. 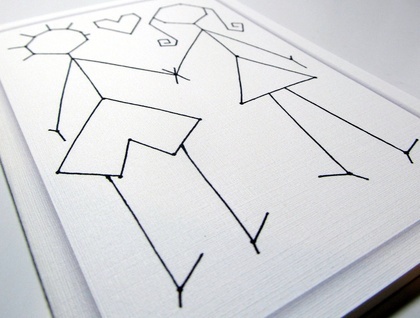 This is a print of my original stick figure doodles. 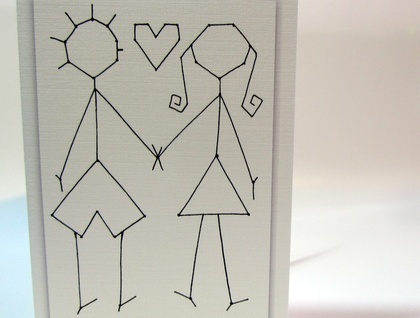 Card is A6 size, printed on white card stock. It comes with an envelope, and sealed in a cello sleeve, and shipped in a rigid mailer.